Tarot Magick is a hugely powerful way to use these Centuries-old Cards to bring about whatever you want. After years of personal study, experimentation and pain-staking documentation, Rupert Blunt has finally agreed to release his very own system of Black Tarot Magick! 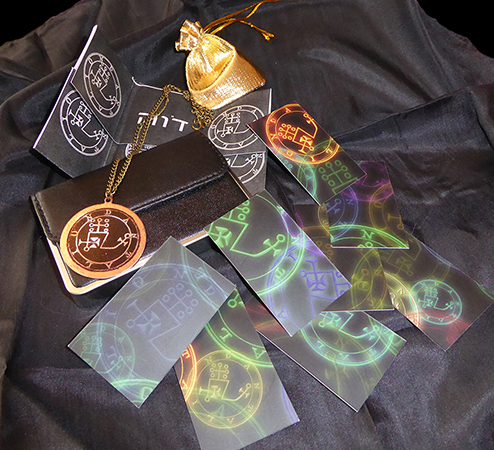 This stunning set comes complete with a special set of Ruperts own Black Tarot Cards, and your personal Seal of the Spirit DANTALION, both of which have been personally consecrated by Rupert himself. Much more than this, though, the Black Tarot System has been carefully designed to ensure that you can construct YOUR OWN SPELLS WITH EASE. 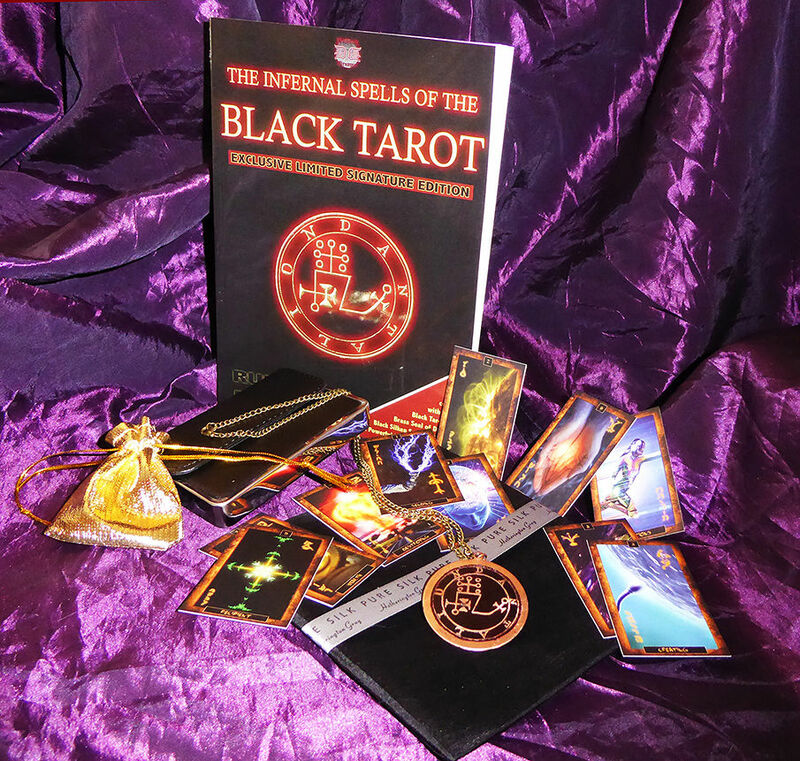 You will not find a system as supremely powerful as the Black Tarot ANYWHERE ELSE! 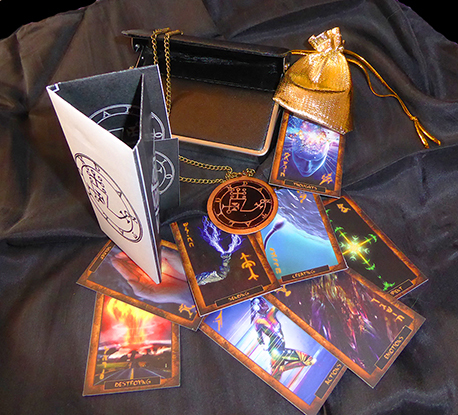 Also included in this EXCLUSIVE Magickal Set, you will find a Black Tarot Spell Journal (as part of the main Book), Black Silken Square, A Protective Card Case to carry your Spread Spells with you, and The Tabernacle of Dantalion, designed by Rupert himself, especially to accompany this astounding set. 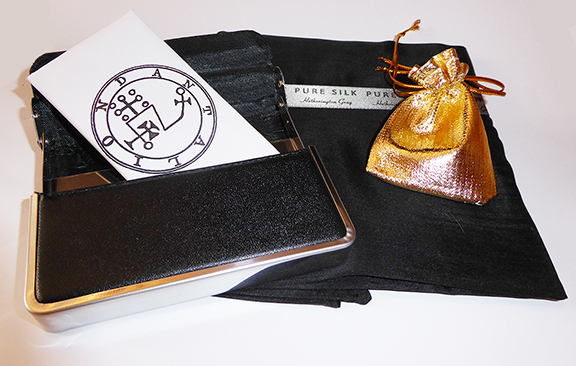 - Once your purchase is completed, your pack will be sent directly to the author for signing and consecrating. Please add a note to your order, indicating what name should be used (ideally, you should provide your FULL NAME, AS YOU USE IT CURRENTLY). Due to this, your order will not ship to you immediately, and may take up to 4 WORKING days to process. Please also be aware that specifications of the provided accessories may change slightly, over time, from those shown in the photographs.